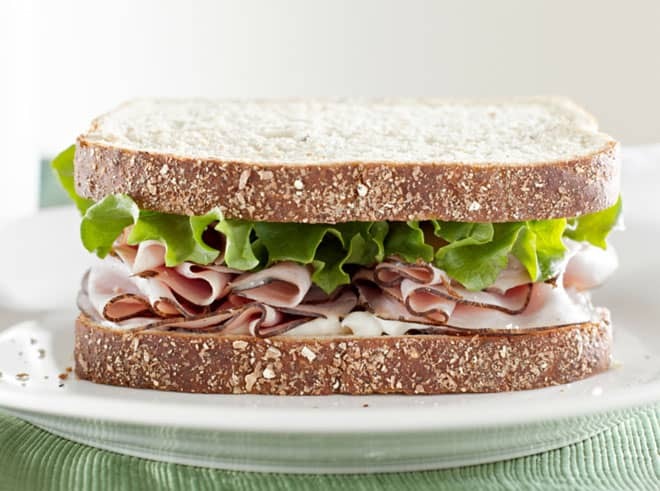 August is National Sandwich month! Despite not being a huge fan of sandwiches, there are many that I love around the world and I thought it would be fun to share my favorites. 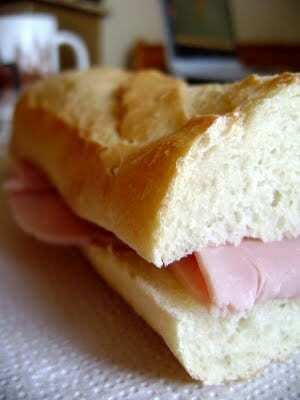 France – my absolute favorite is ham and butter on a baguette, a classic. When I first move to France I thought this was the most bizarre combination, that is, until I tasted it. Forget mustard. Forget mayonnaise. The ONLY way to eat a ham sandwich is with butter! Paul makes a decent version which you can find all over Paris and many places in France. It is the closest thing to fast food that I eat when in France. Switzerland – while I was working in Morges, Switzerland, several times a week I would have a luscious tuna sandwich from a little bakery downtown. (If anyone knows Morges, it is the boulanger across from Manor, I can’t remember the name.) The sandwich was heavenly, just the right balance of tuna and mayonnaise with arugula, it was fab. I had quite a few good tuna sandwiches in any number of bakeries in Switzerland (and France, it is my second favorite sandwich there), but this particular one close to my office was great. I grew up in a tuna fish family so I know what I am talking about! Moorea – I have been to Moorea three times. Twice on extended vacations where I stayed 10+ days. Both trips we stayed in the lovely Sheraton (which is unfortunately no longer an SPG property, now it belongs to Hilton). I had the most relaxing vacation of my life there and the best sandwich hands down. So much so I ate it for lunch EVERY DAY, that is saying a lot for someone who claims not to be a fan of sandwiches! 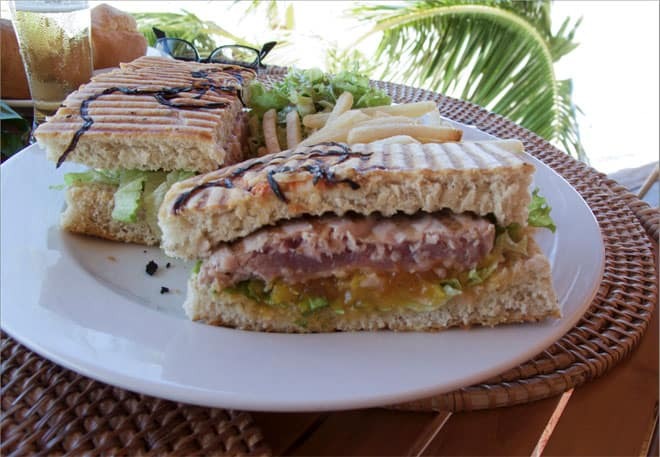 A very rare (and very fresh) ahi tuna sandwich with mango and pineapple chutney – that served with an ice cold beer – heaven! Venice – I have previously written about what a great time my husband and I had at the local bars in Venice. 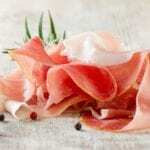 The thinly sliced speck ham sandwiches with the local Spritz drink is divine. Nothing beats eating like a native. Despite the fact that I called out a ham sandwich in France and a ham sandwich here, I rarely eat ham, but I do love prosciutto and speck ham is very similar. Florence – The amazing truffle cream sandwiches at Procacci. Panini tartufati are one of the most delicious delicacies I have had in a decade and I would happily jump on a plane for those little buggers tomorrow! Barcelona – I am not fond of mayonnaise at all, I only really tolerate in tuna and egg salad sandwiches, and only if it is very light. That’s why I love how they moisten the bread in Spain by rubbing it with tomatoes! Their sandwiches, called bocadillos, are really tasty, especially with Serrano ham. Seriously, maybe I only eat ham when I am out of the country because that’s where they really know how to smoke it! If you need something to hold you over until your tapas dinner, you cannot beat one of these with a glass of Spanish wine – Olé! The guaranteed-to-produce-memories sandwich – Linguisa. My mom’s parents are Portuguese. They were part of a large Portuguese community in the San Francisco Bay Area. During the summertime when we would visit my grandparents from wherever we lived in the world, there were lots of festas, or celebrations which meant two things: linguica sandwiches and soupish (or sopas), two foods that I love. From time to time my mom would come across a package of linguica in a grocery store and she would bring it home like a treasure for us to eat. Grilled and placed in a baguette with mustard, it was a spicy, greasy affair. I rarely eat it, but when I see it or smell it, it always brings back good memories! The I’ve-had-everywhere-else-but-in-the-real-deal sandwich – a New York deli pastrami Reuben. I love this sandwich! I’ve had it in New York-style delis but never actually in New York. Follow-up contestant in this category would be to have a Vietnamese bánh mì sandwich in Vietnam – I’ve had many living in the Bay Area (including the Lil Green Cyclo one pictured below), but never actually in Vietnam. Fried chicken and egg salad sandwiches from Bakesale Betty. > The LGBT from the Bacon Bacon. > The warm pastrami sandwich from AK Subs. > The porchetta sandwich from Roli Roti. > Great grilled cheeses in San Francisco. > And if ice cream is your kind of sandwich (hey, I won’t judge you), check out It’s-IT. I’ve also got a list of sandwiches worth traveling for in my AFAR Wanderlist dedicated to just that! How about you? Do you have a favorite sandwich from somewhere in the world? Or right in your backyard! Iberico ham vs prosciutto. What's the difference? I love your blog! Im also in awe of your dicipline to write a post every single day! That is difficult! I have a thing for brie so my favorite sandwiches reflect that. France: ham and melted brie. Brie is such a good sandwich cheese in my opinion but, then again, I think it’s just an amazing cheese in general! Really stellar sandwiches utilize its creaminess to make a simple combo extraordinary! I also like my mom’s fresh chicken salad (usually made with leftover chicken from the night before) with celery, walnuts, and green apple chunks. It’s like a Waldorf salad with chicken between two slices of bread! What more could you ask for? @Margo, I am not a huge brie fan, but it is tasty on a sandwich especially with something like figue jam or cranberry sauce. Fabulously delish!! all those yummy sandwiches look amazing!! I don’t think you can beat a regular old baguette from a kiosk in Paris. @Susan – I couldn’t agree more! I’m sitting here drooling and it’s too late to eat, boohoo!!! @AndiP – you know, there was one category of sandwich that I should have mentioned! The I-have-never-tried-it-but-am-dying-to sandwich and that would be a Cuban sandwich! I KNOW you have had some of those! You need to come visit! I found a place here with the BEST Cubans. I’ve never been to Cuba but I’ve been to Miami and this beats it! @Katie, I am trying, trying, trying! Mmmm! Those sandwiches look delish! My favorite is corned beef on rye w/ mustard in my hometown Chicago. @Phyllis – I am going to be in Chicago for the next couple of days, I may need to try that one out! My all time favorite sandwich is the one that your describe on your post: bread, tomato spread on it, olive oil, and Serrano Ham. I have been raised on it. My favorite sandwich-I seldom eat them either-is the day after Thanksgiving when I make a turkey, stuffing and cranberry sauce sandwich. I love all of those flavors together. @Linda – oh THAT is a good one, and truly American! Reminds me of Friends with Monica’s “moist-maker” that Ross went berserk over! Oh man, Andi – I cannot tell you how envious I am of you. I mean, not envious, but admire your travels and experience and food expertise. Please take me with you next time! Man, I had no idea there were so many different types of sandwiches. I’m with you on the butter. I thought it was gross at first, but now it’s such a decadent treat. There’s so much I love about this post. I’m not a huge sandwich person either, but I’m dying to try a couple of the ones you mentioned here — particularly the ahi tuna of Moorea and the truffle cream in Florence! (I’m especially bummed about missing the truffle cream when I was there last October.) Surprisingly, I’ve found a few local sandwiches I really love! There’s the shrimp po’ boy at Skrimp Shack; the bacon, brie, and basil mayo (I happen to love aioli, which is why Sweden and I got along so well) at TASTE; and the braunschweiger with mustard on an absolutely gorgeous house-made pumpernickel at the Cheese Shop in Williamsburg. @Katie, the shrimp po’boy sounds devastating! I am not a huge fan of mayo, but will definitely try anything once. It is funny certain food items used to be so hard to get, now everything is available everywhere! I am big on sandwiches, too! I tend to get them when I travel as well. They are usually a great lunch idea. I am also big on sandwiches especially in the summer months easy meal plan. Grilled cheese for breakfast my favorite. @Patrice, I love grilled cheese too. You can do so much with them these days, but I love the classic too! WOW, this is awesome! What an interesting view of all the different sandwiches. Bookmarked! Ohlala! 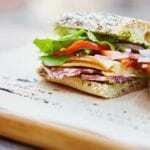 I absolutely love sandwiches because they can be consumed or prepared quickly and easily. Your photos just made me hungry! Now this one makes me hungry lol, those sandwich are yummy, I will try this when I get travel. You’re really making me want to travel. I’ve only been to France and I barely remember the cuisine. I need to get back out there! @Liz, yes, yes, yes, you need go back to France right now and remember the food! You have me drooling over here. All of these sandwiches look absolutely delicious. I would like to try them all starting with the ahi tuna. Yum! I would love to visit Moorea and have a sandwich there. I bet it would be so good. Your posts is making me very hungry. @Tiffany, it was devastatingly good, I ate it every day for a week straight! So much sandwich! I love everything on the list and I must try that baguette with butter and ham! I am a huge tuna lover as well and I like my tuna sandwich with awesome made tuna. Lol. @Elizabeth, I love tuna too, grew up eating of ton of them, got to have potato chips inside though! I do love a good sandwich too! Maybe a little too much.. I had a delicious Bahn Mi sandwich at a little place in Boston but hands down I also had the best lobster roll there too at the Barking Crab. Paris, Venice and Florence I am so with you! Here at home I have a little organic grocery store that makes a mean vegetarian sandwich with sweet pickles, sprouts, onion, artichoke, mayo and havarti cheese on soft homemade bread. @Murissa, despite saying I am not a fan, there are definitely a lot that I do like. 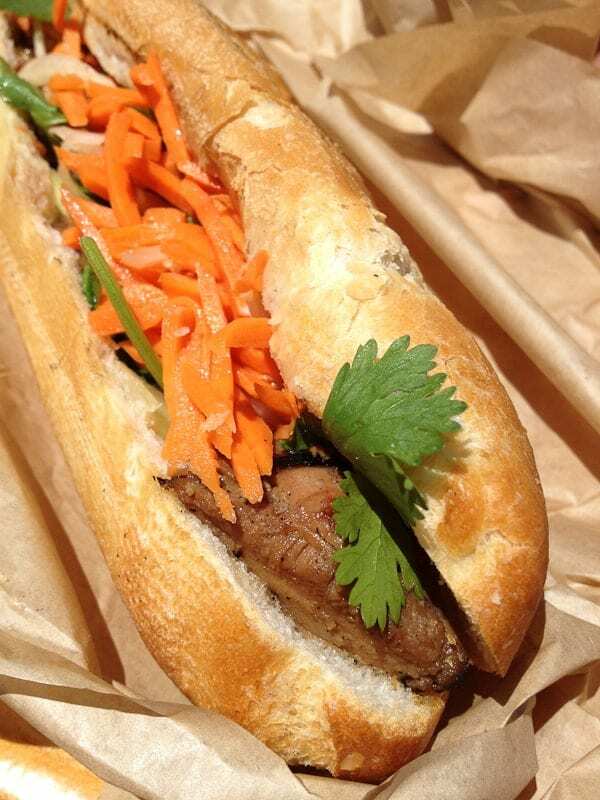 I had a great Bahn Mi in Boston too, from Bun Mee food truck! I’m with you on the ham and butter sandwich in Paris. I remember thinking, well, this is odd. It seems like they left a lot of ingredients out, but when the ingredients are that good, that’s all you need. I could just eat French Bordier butter with a spoon! @Kelly, I am with you there! We bring back frozen Bordier when we go to Paris! The one thing I have yet to try is butter with sardines, my hubby does it all the time, but I haven’t gone there yet. I brought back frozen Bordier in my sock last trip home from Paris! I haven’t tried butter and sardines either, but I think I’d really like it! I am a HUGE sandwich fan and all of these sound fabulous! my favorite sandwich is very simple. I love pastrami on rye with spicy brown mustard!! @Cheri, that’s a really good one. Think I need a beer with that! it’s 2:30AM… from the title alone, i knew it would be a bad idea to read this post. @Lexi, the dangers of reading a food blog! I was thinking as I was reading, how much I like sandwiches. I have a much smaller world view of sandwiches, but I still feel like I am world traveled 🙂 I am currently in love with my panini press. Makes even boring sandwiches super yummy and exciting. Vietnamese bánh mì sandwich is the best I guarantee you. Wherever I go, I find myself missing that gem, always. It’s just pure yummy! @Mai, I am lucky enough to have great bánh mì sandwiches to choose from, I love them too! We eat sandwiches at least every two weeks here. So delicious. If my daughter could have bread we would be in trouble with all our sandwiches. What lovely sandwiches. Those truffle sandwiches and making me so hungry….Thank you for sharing these width us! All those look so good! Thanks for sharing! My favorite part about traveling is the food!! I love experiencing new flavors and cultural normalties!! American food can be so blah sometimes!! Thanks for sharing these great sandwiches! And I totally agree, ham is the best with just butter and no thrills!! i am not a huge fan of sandwiches either but these look sooo good! @Chloe, I could never do low carb exactly for that reason! Plus rice! I don’t put mayonnaise on anything anyway. Those sandwiches look good, especially the truffle sandwich. @Olivine, yeah, I am not a huge fan of mayo! All of them made my mouth water! I like your French sandwich. It reminds me of an episode of “Sesame Street” when a girl ate a ham and cheese sandwich with lettuce and butter. I tried one once and it was really good.